Data Maps is a great feature in PBCS that allows you to seamlessly move data between plan types and to your reporting databases. 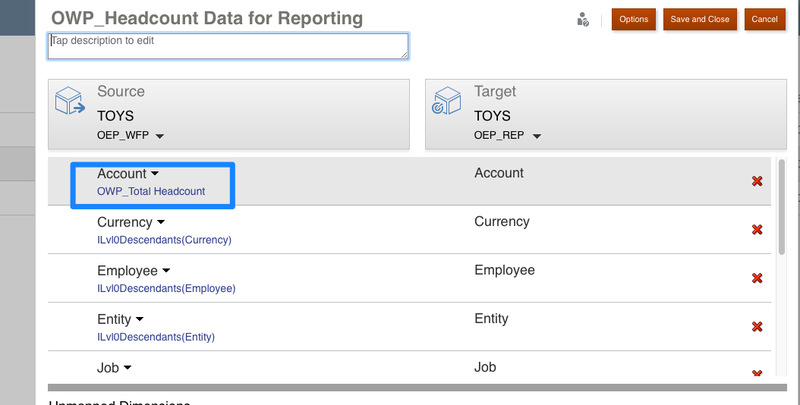 You can map smart lists to dimensions in ASO reporting cubes to convert the accounts to dimensions so that you can easily report in Smart View and Reports. It works great when you have similar dimensionality but if you really have extensive mapping you should use Data Management to move the data between cubes. As we use EPBCS, and take advantage of the out of the box content we have hit a few performance issues with data maps. 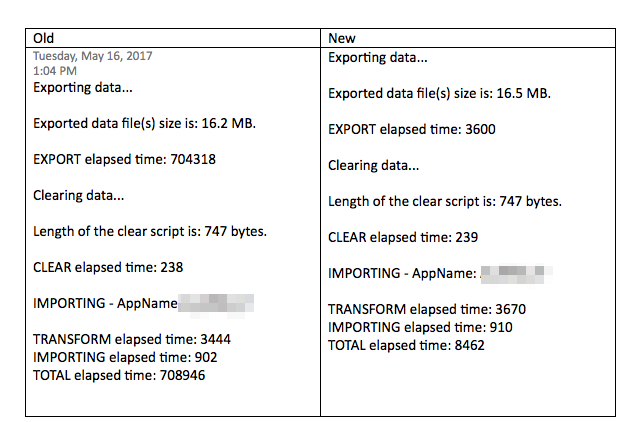 Here is a recent solution we devised to resolve slow transfers of data between the Workforce cube and the ASO Workforce reporting cube. Essbase is not great at extracting members that are tagged as dynamically calculated. You will see this if you execute a data map and all of the sudden a quick map is now taking a considerable time to run. Most likely there are dynamical calculated members recently added to your selection. Luckily you can disable dynamically calculated members in the map. To enable this option edit the Data Map and click the Options button. In the window that displays click the option to Exclude Dynamic Calc Members. Then run the map again and it should be back to what you are use to. However you may be missing some data that you expect to be there. If you cannot discover what the dynamic calc members are, create a data export calc script with the same source point of view and the option DataExportDynamicCalc OFF. Run the script in calc manager and the log tab will inform you what members where excluded from your export. 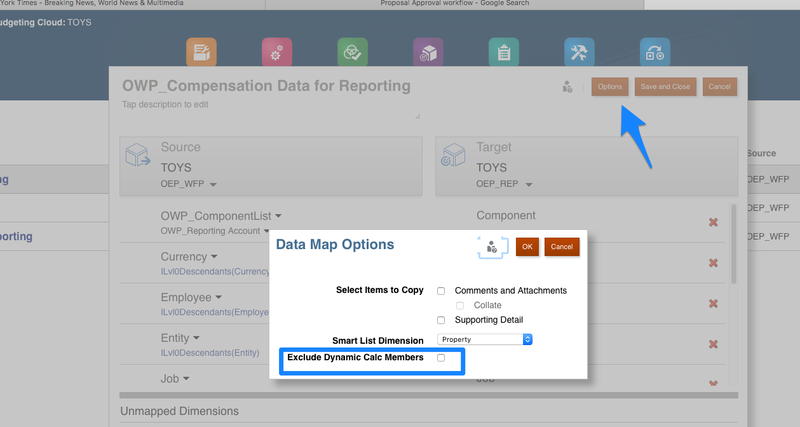 You can then investigate how you can include them in your data map as stored members. As your plan and forecast grows you will see that this map will get slower and slower. It is created out of the box for the Workforce Planning module. Its purpose is to move the headcount data from the WFP cube to the ASO reporting cube that is supplied with the solution. The main reason this is slow is because the source of the headcount data is a dynamically calculated account. The reporting cube and the WFP cube share the parent OWP_Total Headcount. In the WFP cube it is a dynamic calculated parent account and in the ASO cube it is a level 0 account. The data map is not optimally designed, and you cannot select the exclude dynamic calc option because no data will move over. Here is the solution I discovered. Step one edit the data map. Then click the red x to the right of the accounts dimension. This will move the Account dimension to the Unmapped Dimension section. 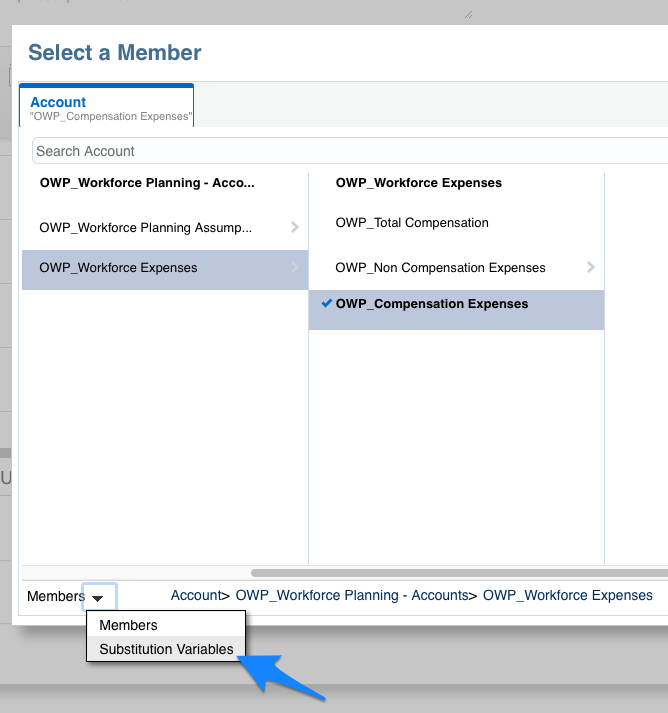 Click on the hyperlink OWP_Total Headcount and open the member selector. 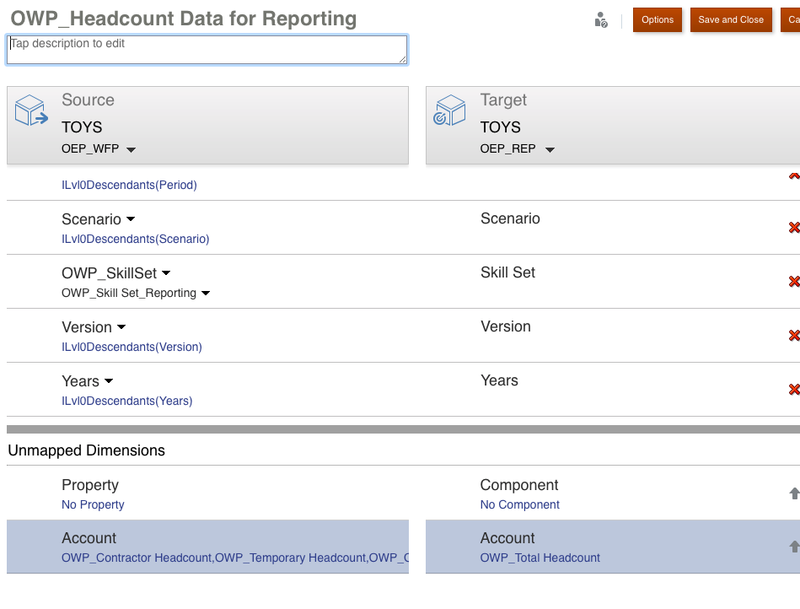 Clear the current selection and the select every level 0 member under OWP_Total Headcount except OWP_Departed Headcount. 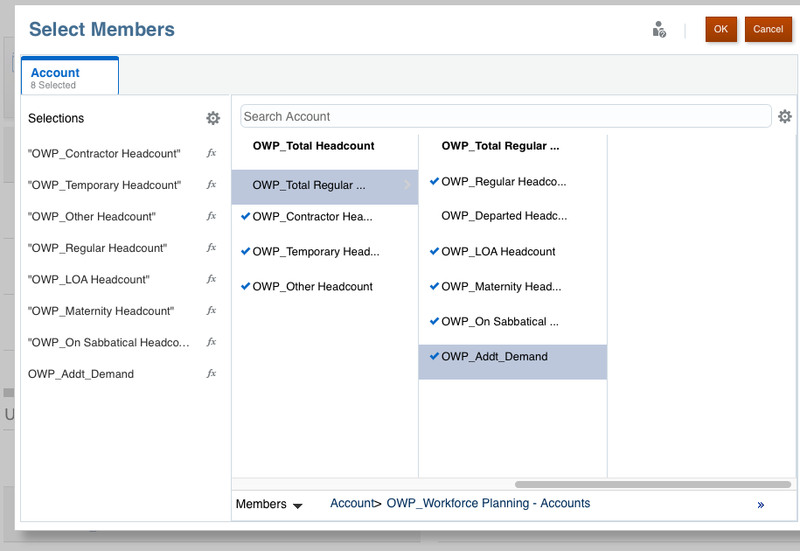 Then on the Target select the account OWP_Total Headcount. Then click the Save and Close option. You will then get an error message that you cannot save the map because there is an invalid member OWP_Total Headcount. This error is a defect because in the ASO cube the member is a level 0 and without a formula . Since that member was created by WFP you cannot edit any part of it. To work around this error temporarily point the map to the account OWP_Compensation Expenses. This should let you save the map. Now that it is saved navigate to Variables. 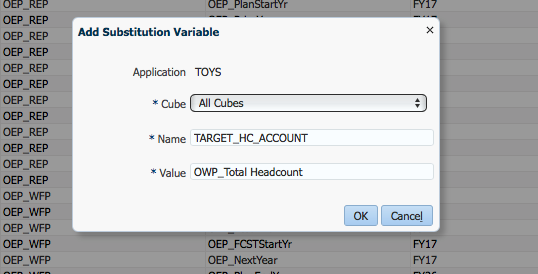 Create a substitution variable at the All Cubes level called TARGET_HC_ACCOUNT and set the value to OWP_Total Headcount. Click ok, and then edit the Headcount map again. Edit the account dimension on the target side of the map. Enable the Substitution Variables selector and select the substitution variable TARGET_HC_ACCOUNT. Now when you click Save and Close the Data Map will save!!! The out of the box method took almost 12 minutes mostly all extracting that dynamically calculated data. With the modifications it ran with the same results in 9 seconds! Dynamically calculated members are great for reporting but they have no place in data exports, and obviously do not belong in Data Maps! I hope that this solution helps you with your implementation of EPBCS or even in your own custom apps.